FARMINGDALE, N.Y. Officials at the Naval Air Warfare Center, Aircraft Division selected Telephonics Corp., a wholly owned subsidiary of Griffon Corp., to deliver its APS-143C(V)3 as the multimode radar system for the U.S. Coast Guard's (USCG) HC-27J Spartan medium-range maritime surveillance platform. The APS-143C(V)3 maritime surveillance system offers a broad range of capabilities including long-range target search, detection and tracking in high sea-states, Inverse Synthetic Aperture Radar (ISAR), Synthetic Aperture Radar (SAR), weather avoidance, and Search and Rescue Transponder (SART) beacon modes. 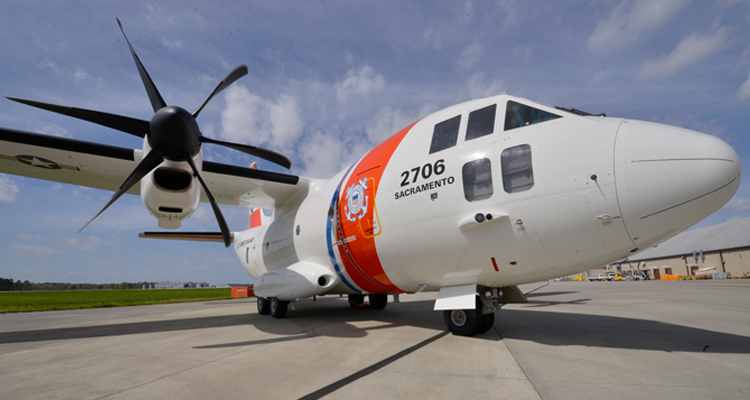 The system will assist HC-27J operators during a variety of missions. The indefinite delivery/ indefinite quantity (IDIQ) contract is worth an estimated $31.8 million.